You’re in luck if you waited to buy a portable media player (PMP). Just this month Apple, Creative Labs and Microsoft all announced exciting new additions. 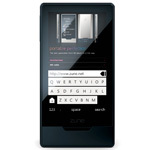 The biggest news is Microsoft’s Zune HD, a challenger to Apple’s iPod Touch. The sleek device has a high-quality 3.3-inch widescreen touch display, better media compatibility and higher quality playback. The Zune HD can also output HD movies and TV shows to an HDTV—via an optional dock and HDMI cable—for optimal viewing. And the battery outlasts the iPod Touch by two hours (an estimated eight hours total for video). Zune HD also includes an HD radio and FM tuner, a web browser (with Facebook and Twitter apps scheduled for later in the year) and the ability to sync with a PC wirelessly to download music, band photos, lyrics and album art, even if songs weren't purchased from the Zune Market. And if you have a Zune unlimited monthly pass, you can stream content straight from the store over Wi-Fi. All in all the Zune HD gives Apple some competition. Apple isn't one to rest on its laurels, however. The new iPod Nano has a microphone and a video camera, giving you the ability to make voice notes and record video that’s perfect for YouTube or sharing via e-mail (which you accomplish by connecting to a computer). The only disappointment is that you can’t take pictures. 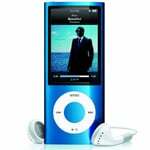 Another iPod first for Nano is an FM radio, which has one neat detail others lack: the ability to pause and restart live radio broadcasts. This feature is sure to come in handy if you're in the middle of the latest episode of “This American Life” and need to stop and order a cup of coffee. 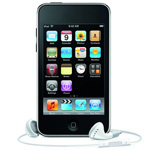 In addition, the iPod Touch is now available with 64 gigabytes of memory and a faster processor for better gaming performance. 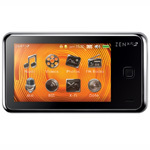 Creative Labs, which was making PMPs long before the iPod, just introduced its latest, the Zen X-Fi2. With a 3-inch touch screen, 32GB of memory and video-out for viewing video and photos on a TV (an option), the X-Fi2 is clearly designed for video. Other features include an FM tuner and voice recorder. The X-Fi2 has one feature the other new players lack, the ability to expand storage. Thanks to a microSD card slot, like that found on many high-end cell phones, you can add up to 16 gigabyte of additional storage to the PMP for as little as $40. That means an X-Fi2 with 48 gigabytes of storage will cost less than an iPod Touch or Zune HD with only 32. But be warned, you get what you pay for. The X-Fi2 is not nearly as polished or pocket friendly as its competitors. Those in the market for a new PMP will find plenty of new choices to consider. Clearly, the media player market is a completely different world than it was even just a few short weeks ago.